I've always wanted to have more cooking demos at mystery conventions. There have been a few, but in my mind not enough. I've often moderated the 'culinary crime' panels, and one year we handed out recipes with the poisonous ingredients mentioned as optional ingredients. In one of the Culinary Crime classes I taught, each week I prepared the foods mentioned in the book sans the poisonous ingredient. Mystery Readers Journal has had 4 issues so far on Food Mysteries with another coming out this summer. The mystery genre is rampant with poisoned chocolates, lethal legumes, and murderous mushrooms. But clearly Agatha Christie, the Queen of Crime, is also the Queen of Poisons. She was an apothecary during WWII and so many of her books revolve around poison. So it should not come as a surprise that this year's Agatha Christie Festival will host a cooking demo with a poisonous twist. French writer Anne Martinetti is going to recreate the recipes from Agatha Christie's books at part of the Agatha Christie Festival this September. What fun! 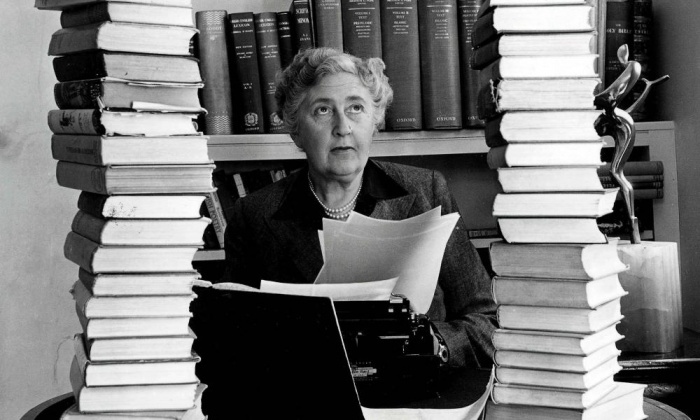 A unique cookery demonstration is to be held to celebrate the 125th anniversary of the birth of Agatha Christie, the Queen of Crime. 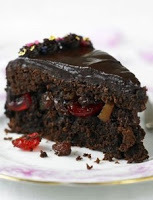 It will be in Christie’s own Devon kitchen, and guests are advised to treat samples with extreme caution. The French writer Anne Martinetti will be recreating recipes from Christie’s books, singling out those particularly suitable for concealing poison as an extra ingredient. As any devotee of Miss Marple or Hercule Poirot knows, the great detectives only have to show up for a morning coffee, light luncheon or afternoon tea party for one of the guests to topple over the table clutching their throat and turning blue. Martinetti will be speaking and cooking at Christie’s beloved holiday house, Greenway – the home she called “the most beautiful place in the world” – now in the care of the National Trust. The event is part of the Agatha Christie festival this September, held in and around Torquay where she was born on 15 September 1890. Food, not always lethal, figured heavily in Christie’s books and in her real life. Festival director Anna Farthing recalled that Christie often noted after social engagements that the company had been trying but “the eating good”. An archive photograph shows Christie at work in the rather grim kitchen of the beautiful Georgian house on the river Dart, where her grandson Matthew still remembers delicious meals cooked by Granny. Martinetti has carved out a unique niche in the overcrowded coffee-table cookery books realm: criminal food. Her books, with diabolically punning titles, include Alimentaire Mon Cher Watson!, of Sherlock Holmes recipes, and her Agatha Christie volume, Cremes et Chatiments, or Creams and Punishments. “I’m very excited and impressed to cook at the same place where Agatha Christie was, especially when I see the photo of her with her apron,” Martinetti said. “It will be a great experience for me, and I hope that the soul (or maybe the ghost) of Dame Agatha will smell the perfumes from the recipes and enjoy.